THE BAY AREA CRAFT CLASSIC HAS SOLD OUT. IF YOU PURCHASED A GROUPON OR RUSH49 - PLEASE REFER TO THEIR CUSTOMER SERVICE AS THE TIME PERIOD FOR REDEMPTION HAS PASSED. THEY CAN ASSIST YOU IF NEED A REFUND. GOOD BEER COMES TO THOSE WHO RUN! The Bay Area Craft Classic is the intersection of running and craft beer – a match that became irresistible as the popularity in both has soared over the past several years. Runners have always loved the challenge of training for and completing a race and then indulging in their favorite post-run treat. Craft Classic delivers races planned by the running gurus at Road Runner Sports with scenic courses and a level of detail that only runners can appreciate. 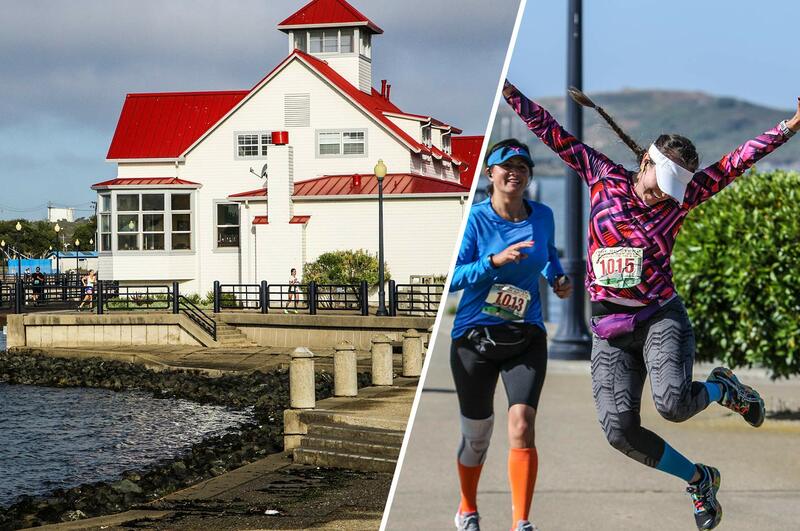 The Bay Area Craft Classic Half Marathon and 5K is more than a race, it is an awe-inspiring experience and journey through history along the path of Rosie the Riveter. The 5K sold out. If you want to run and be timed - but wait till post race to see if any t-shirts or medals are left - you can still run using this option. You have access to the post race food and hydration but no beer. We will donate a percentage of funds to the charity for selecting this option.